We bring state-of-the-art 3D scanning capabilities directly to you. SCANable works with the most prestigious post-production and visual effects studios across the globe providing 3D imaging hardware, software, training and turn-key services. These innovative companies have relied upon us to provide LiDAR and 3D Imaging solutions for advertising, entertainment and film. For over a decade, the technical experts on our staff have been capturing full body scans of actors, vehicles and props, and environment scans, stadium scans for crowd population, and intricate set scans. Our expertise allows us to offer clients a unique, one-stop solution for all of their scanning and modeling needs. With offices in Houston, Los Angeles, New York, Atlanta, New Orleans and strategic partners across the globe, we can quickly accommodate any 3D imaging needs you may have. SCANable provides post production and visual effects studios with the equipment, software, training and turn-key support services necessary to guarantee success on every project. If you would like to know more about how 3D imaging can benefit your studio please contact us or request a free quote today! 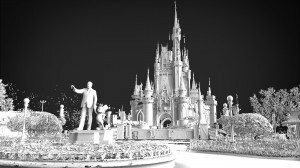 With our portable solutions and studios in California, Texas, New York, Georgia, New Orleans, and partners across the globe, we are able to quickly mobilize to provide you with affordable and superior visual effects 3D imaging support anywhere on the planet. On location, time is of the essence. Visual Effects teams typically have very little time to capture the information they need. Our experts are able to react and solve problems quickly in order to maximize the small amount of time that we have access to the set, location or talent and capture the 3D assets and environments needed without interrupting production. SCANable brings computer-generated imaging to the next level with cutting-edge 3D head and body scanning technology and services. Our portable 3D imaging technologies allow us to quickly and easily capture both an amazing level of detail and surface texture of actors, actresses and models. Our ability to quickly capture life-like digital copies of human subjects opens up new horizons for those who want to create memorable characters and astonishing visual effects. Our 3D scan teams can quickly and efficiently capture and record the details of sets, environments, locations, vehicles and large objects. We guarantee a rapid delivery of the digital assets as raw point clouds for camera tracking/matchmoving along with clean meshes or simplified surface models. Our close-range scanning capabilities allow us to capture the details of any objects that require sub-millimeter resolution and high accuracy. We can capture and model objects and surfaces to tolerances finer than a human hair. Data can then be supplied for creature and object placement, animation, 3D printing, prototyping, sculpting or milling. 3D digital replication of props, ranging from weapons, shoes, hats, clay sculptures, etc. can be easily captured and provided as full-color high-res geometry in any number of standard 3D file formats. We use a variety of 3D imaging technologies including structured light scanners, laser scanners and photogrammetry to provide the level of detail you need. 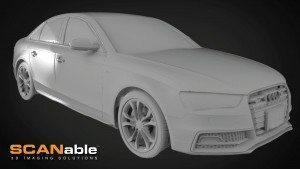 SCANable offers comprehensive 3D digitizing solutions for automotive parts and complete vehicles utilizing the latest 3D measuring devices and our proven and trusted workflows. Our services are relied upon across the globe for visual effects support and automotive design and analysis. 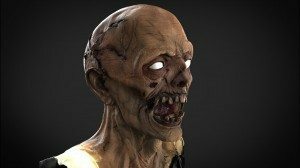 3D digitizing is a fantastic method to acquire objects into the computer using non-contact structured light techniques. Our portable 3D technologies provide an accurate method for quickly capturing every detail and color of the object. 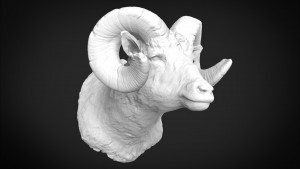 3D scanning combined with 3D printing or CNC milling provides fast and accurate solutions for sculpture duplication in various sizes and materials. 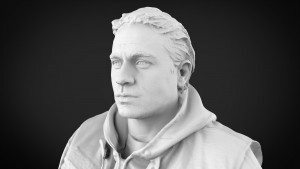 Our 3D scanning solutions are relied up by artists, sculptors and museums across the globe.